A creative Donegal girl and her family combined food, fun and friendship to include their communities in the important awareness event. Celebrations are continuing all day in Donegal as young and old mark World Down Syndrome Day on March 21st. This year, World Down Syndrome Day focusing on #WhatIBringToMyCommunity and one Donegal girl has brought a lot to her own community today, in the form of food, fun and friendship. Kayla Flanagan, aged 5, is a Ballybofey girl who spent her day raising awareness for Down Syndrome. In her own way, Kayla made a big impact with her school friends and people in her dad Sean’s workplace at the Donegal County Council. 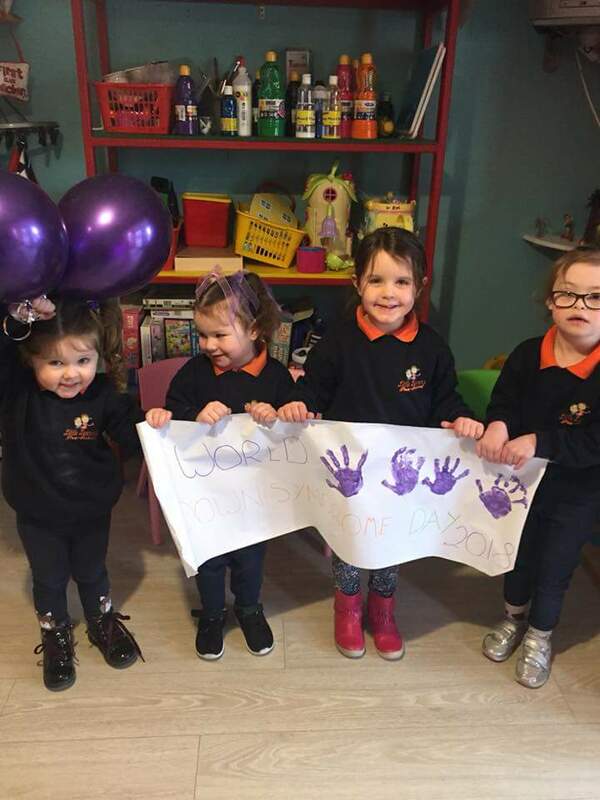 Kayla and her classmates at Little Learners Pre-school in Stranorlar had a big party this morning with purple balloons and sweets for all. They also designed a banner for the occasion. 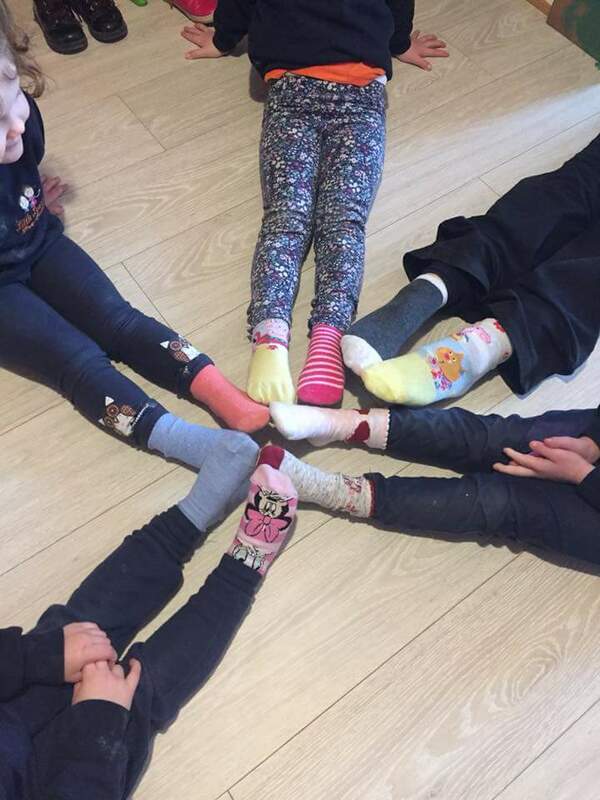 The youngsters had great fun wearing odd socks to celebrate individuality of every person with DS. Staff at the DCC Letterkenny Public Services Centre were inspired to do the same – and they were rewarded for their crazy sock display with yummy buns baked and decorated by Kayla! Thanks to Sean Flanagan for sharing Kayla’s photos. If you have photos or videos from World Down Syndrome Day events in Donegal, you can send them in to info@donegaldaily.com to be featured. Why isn’t Seamus Coleman wearing matching socks?